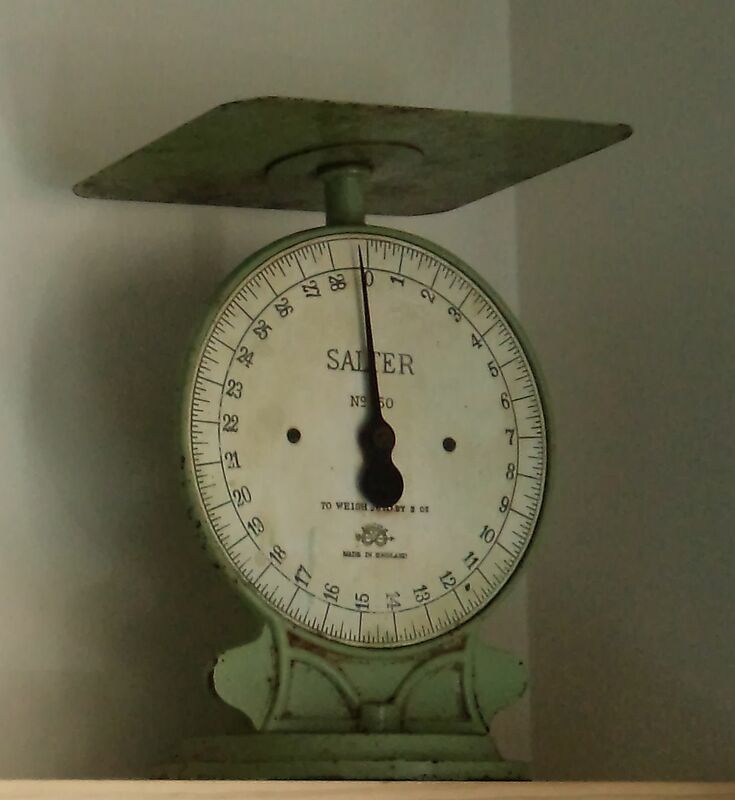 The arrival of the new baby resulted in losing a space for my beloved kitchen scales that once belonged to my beloved Granny. 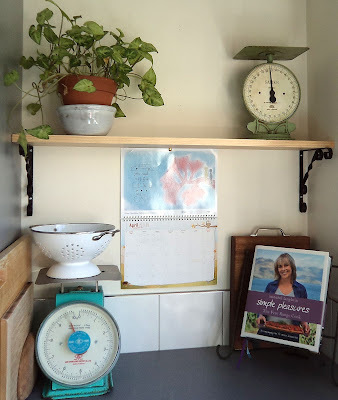 All was not lost because I had been eyeing up the one blank wall in the kitchen for a while. A quick trip to our local Mitre 10, a piece of pine cut to size, two metal brackets, some man labor and I now have a beautiful new shelf.